After reading this blog, WOW, to be honest, another failure (no surprise to me personally) and I am quite amazed and wondering to myself why Walmart is still trying to enter into the international market where they know or have a feeling that they will not succeed in the particular target market. I’ll be honest with you, I do personally shop at Walmart but the reason it’s successful in the U.S. and a huge competition with Target, is because the U.S. is the perfect market for this kind of setup. There are lots of competition here, people love to get a great deal, and people love to see retailers “fighting” each other so that consumers shop at that particular store. In the U.S., the more competition, the better. This “bargaining” environment allows us to have competition and more choices because in the U.S., the less choices, the worse it gets because then retailers try to take advantage by increasing prices and then consumers have no other choice which makes it a bad situation. I understand we all have to take risks but when trying to enter the global market with extensive failures every single time, I would think that they would understand to not go to countries that they know won’t be attracted by consumers. A perfect example is one of their huge failures in Germany. And now they want to takeover/acquire Flipkart which is India’s largest commerce platform (which is basically India’s “Amazon”) even though Walmart understands that even being in the Indian market for many, many years, they still have not been able to find the “key” to success especially with 21 wholesale stores, 1.35 billion people, and generating an “embarrassing” 0.1% of their global revenue! That is just astonishing to me; this basically shows that this is NOT the right market to have a Walmart because India has certain “laws” that protects local shopkeepers, their regulatory system is very complex, and to be honest, there are also lots of “corruption” as well where in this blog it mentions “bureaucracy.” Again, lets see what happens but taking India into consideration is an extremely hard and risky decision especially with the whole situation that involves economics, political, and touch regulations. In my opinion, I would NOT approach and continue with this decision because it’s best to first generate revenue with the 21 stores and then see what happens. Even after having 21 stores and only 0.1% global revenue, it just does not make sense trying to acquire Flipkart. In other words, first try to be successful with the physical stores and then continue to take the next step. It’s not recommendable to just keep adding liability because it will make things worse. 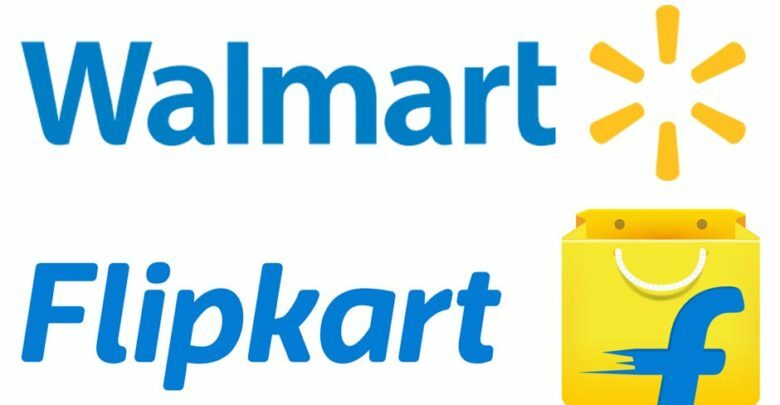 I personally hope for the best for Walmart, but, in my opinion, with the current situation already, I don’t think this is a good idea especially with the “undeveloped” online market in India and “confusing” regulations. Lets wait and see! IKEA took a very careful stance with India. They have entered many countries and have applied what they learned to India. India is not an easy, open place to invest and do business in. IKEA’s corporate readiness was there but India put the brakes on. There were major barriers to entering the market. IKEA had to make some serious adaptations to their products. The product readiness is where they took their time and carefully developed the plan. The requirements that India has to source goods locally presented a bit of a challenge to IKEA. They had to develop the product that could be made in a factory setting, which is not standard practice for India. They chose to make linens, towels, sheets, bedding. The entire concept of an IKEA is foreign in this market. Most items in India are produced and sourced from small local family run business, especially pots, pans, dishes, etc. Going to one large store is a cultural shift. Also, IKEA requires workers to receive paychecks electronically, which meant teaching their employees how use that system. They found that most of their employees did not have bank accounts. There are several cultural issues that IKEA faces as they move forward into this marketplace. I agree that this is a company to watch in India. I was about to leave this post without commenting, when I had this thought enter my mind; “does it ever stop?” Do companies like Wal-Mart specifically ever just say to themselves, we’re in a really good position where we are, or is there always that need to continue growing into new markets? I imagine for the majority of businesses, the answer is no. However, take a company like in-n-out that has a line down the street at every location at almost any time of the day. Yet the company has stayed true to themselves, and has remained a west coast only business, aside from the few located in Texas. Just take the McDonald’s story in comparison, sure you could risk selling-out and becoming a huge multi-national chain, but your product is certainly going to have to change with it in a case like the restaurant business at least; not to mention the risks associated with entering new markets.